meetingsandoffices.com is a DIPP accredited startup and a winner of the NASSCOM Product Conclave 2017, Live Funding event. The company is founded and managed hands on by Meenal Sinha, herself an ‘Exceptional Woman of Excellence’ awardee by the Women’s Economic Forum. meetingsandoffices.com is India’s premier aggregator of coworking and other shared workspaces with presence across 18 Indian cities offering more than a lakh seats nationally. 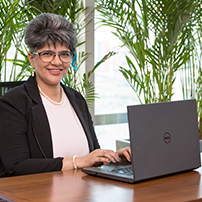 Meenal started off in the shared workspace industry by building Servcorp – one of India’s earliest shared space offerings – into a profitable entity for K. Raheja Corp. She has subsequently also consulted extensively on the creation of conventional shared workspaces and the new age co-work spaces. This experience allows Meenal to speak with a voice of authority on growing businesses and the fast evolving shared workspace paradigm. Meenal has a visceral connect with the needs of the young business ecosystem and value creation opportunities. All of which reflects in her new venture. meetingsandoffices.com – an intuitive end-to-end co-working marketplace solution with discovery, comparison, booking and payment – is a natural extension of her experience in the space. Meenal believes business has only two basics, get them right and everything else falls into place – delivering a phenomenal experience at every interface and every interaction & a hard focus on bottom lines. “Developing successful shared spaces offering requires a strong work ethic, an attention to detail and an emphasis on experience delivery that resonates with my approach”, says Meenal. These traits along with a hard focus on profitability fine tuned during her advertising days have defined her approach to business building. Meenal lives in Mumbai with her husband and her 16 years old son.